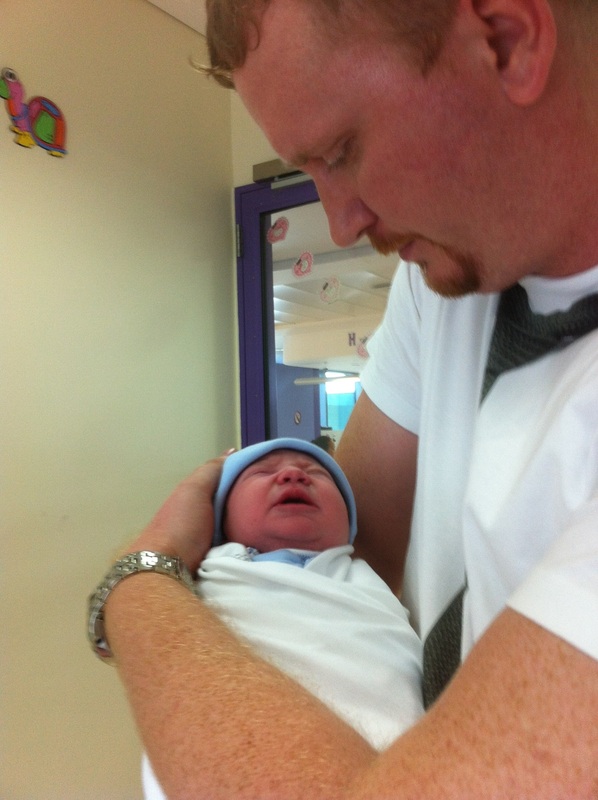 It has been 5 weeks since my son was born in Ruwais hospital. I have made several inquiries about nurseries considering that my wife was still under contract with a Ruwais Mall company and she would need to continue working. 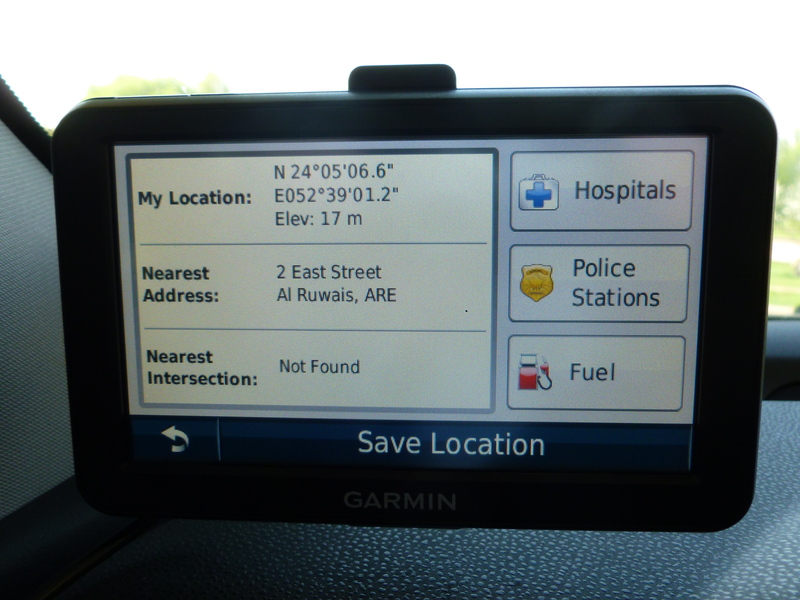 The following article will present my results of nurseries searches. 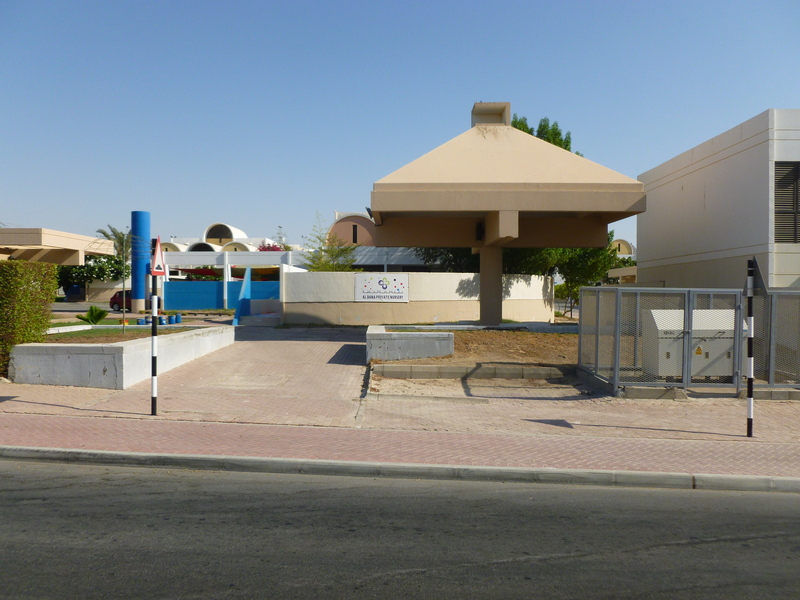 Al Dana is the most advertised nursery in Ruwais. You can find it at A 281. If you are traveling from Abu Dhabi Market to Emirates General Market you can see the banner on your right side, after you have passed the first roundabout. To reach the parking lot, where this first picture was taken, you just have to reach the next intersection and make 3 rights. 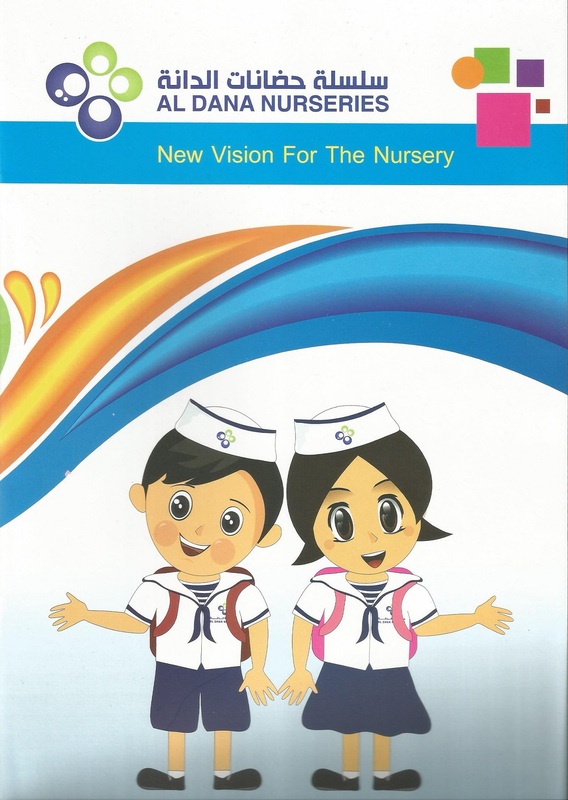 Before contacting the nursery at : 050-9046042 or 050-6913895 about more details. A copy of the authenticated birth certificate. Since this is a private nursery you will have certain facilities and trained personnel for which you will pay for. Here is the fees list taken from their brochure. Just to point out… After the main Ruwais gate entrance there is a Nursery indicator, but that one is for plants cultivation area. Apparently a plants growing facility is also called “nursery”. I have been referred to that one several times when asking for “Ruwais Nurseries”. You can imagine the comedy in that situation if you were me discovering that place. I am obviously talking about small children nurseries. A place where a newborn, a baby, or a kid (below 4 years old) can be taken care of while you go to your daily job. Since my colleagues could not provide me with even more answers to my question i have went to the Recreation Center and the Ruwais Security Office. 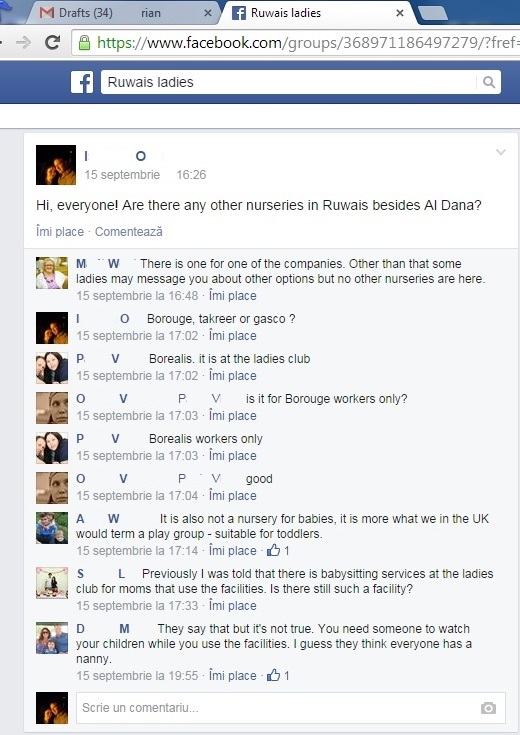 While asking about (baby) nurseries i could not get another alternative for Al Dana. I was promised a follow up (from the Security Office) for my inquiry but i have not received any calls or emails about this matter until this day. In Sha Allah i will get a call until i enroll my boy into college. My next source of information is a Facebook group called “Ruwais Ladies”. I have asked my wife to forward my question to the ladies and provide me with their answers. I will share their replies to you to confirm the last result of my search. For privacy reasons i have blurred out their names. So… now you have all the information that i could find regarding Ruwais Nurseries. The title should be Ruwais Nursery, but i am still hoping that this situation will improve in time. If you have additional news please share with us. If you know a family looking for a nursery please share this with them. I think this post was in 2015 but I found it to be very helpful. I may be moving to Ruwais. The nursery seems nice but the hours do not work for me. Are there other options for childcare? For the moment there are no other options. So we are definitely coming in August! I hope my family and I will love it! I look forward to meeting families with younger kids like mine. I am also planning to move to ruwais with my 5yrs old and 18 month old. And i came across with your blog. I gotta leave for work relatively early and was wondering if there was a school bus for nursery. Also are there a lot of available nannies?.. The nursery says that there is a fee for transportation but I am not sure what age that starts. However, finding a nanny has been really challenging. Please inbox me. I have some information that may be helpful. stay-in nannies are the solution, but they require sponsorship and some of the paperwork can be a bit of a headache. companies that provide nanny / housemaid service, include in their charges the convenience and immediate availability of their personnel. however, when you reach ruwais you will see what options actually best suit you and what other “ruwais ladies” recommend from their experience. No. At the moment there s only one official nursery. I am interested in any info you guys have about finding a nanny in Ruwais. I have to be to work by 7:30, so I doubt the nursery will suit my family’s needs.